Dark garnet black color. 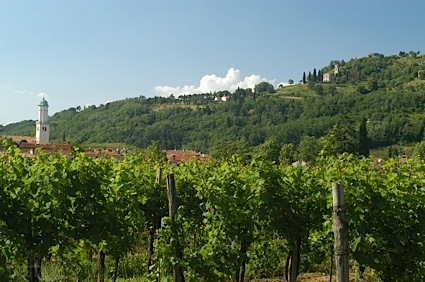 Fruity aromas and flavors of blueberry preserve, concord grapes, chocolate yogurt, and cassia bark with a satiny, crisp, fruity medium body and a peppery, breezy finish with notes of dried tobacco and black tea leaves with dusty tannins and moderate oak flavor. A bright and appealing Lodi zin for any occasion. Bottom Line: A bright and appealing Lodi zin for any occasion. 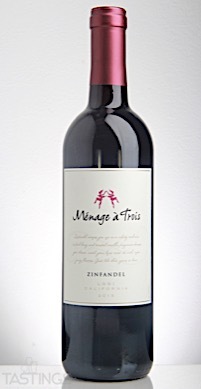 Ménage à Trois 2015 Zinfandel, Lodi rating was calculated by tastings.com to be 84 points out of 100 on 8/30/2017. Please note that MSRP may have changed since the date of our review.